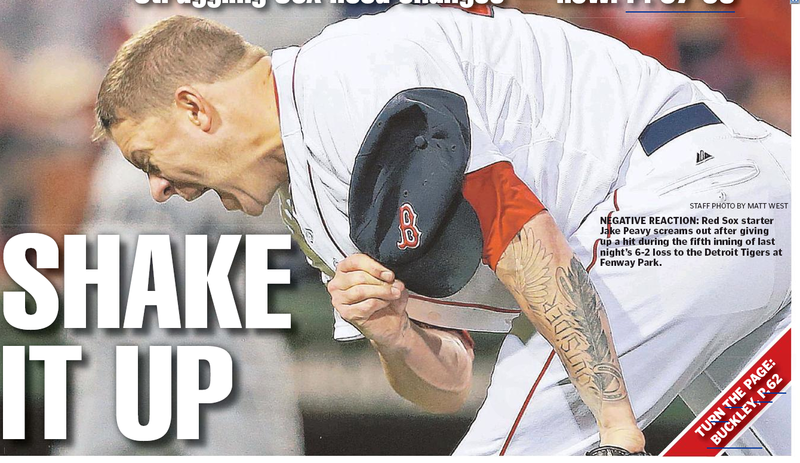 Every now and then the Boston Globe and the Boston Herald are in perfect harmony, as opposed to their usual yin-yang seesaw. 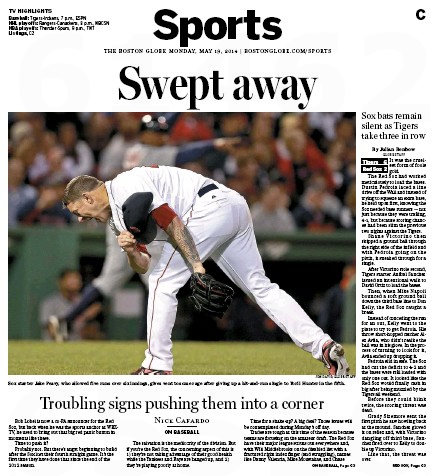 And the hardreading staff is aways happy to chronicle those fortunate moments. 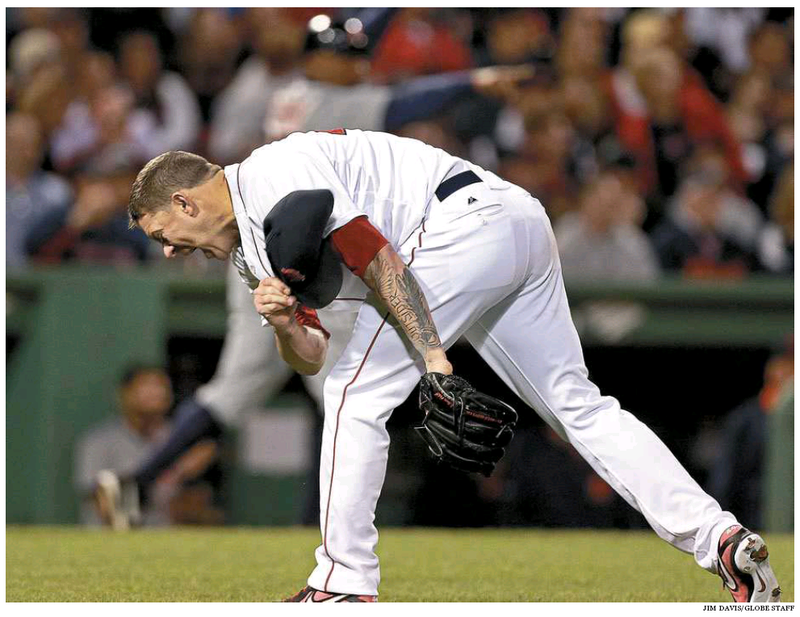 Today, the sports pages of the two dailies feature what appears to be the exact same image of yesterday’s losing Red Sox pitcherJake Peavy. Excellent! But let’s not have too many, boys – you know, the space/time continuum and all that. 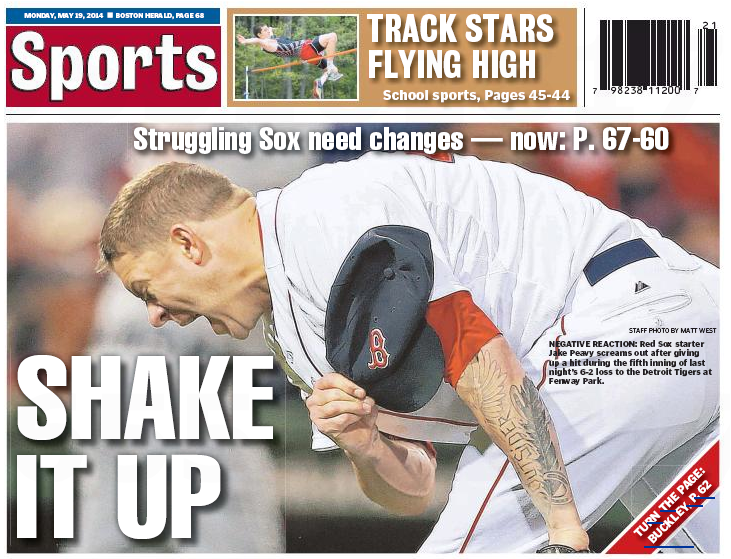 This entry was posted on Monday, May 19th, 2014 at 12:25 pm and is filed under Uncategorized. You can follow any responses to this entry through the RSS 2.0 feed. You can leave a response, or trackback from your own site.